Are your customers “connected consumers”? Do they use technology to help make buying decisions, to stay in touch with your company, and to share their experiences with others? Many small business owners don’t think so. What’s more, they assume all technology users are comprised of the younger generation and NOT their customer base. As a result, small businesses don’t maintain a healthy online presence. For many, in fact, it’s little more than an afterthought. But that’s a big mistake. Statistics show that more and more consumers in general are online and actively navigating virtual marketplaces as well as social spaces. And online consumers are not always who you think they are — in fact, a little over half of Americans over age 65 use the Internet and email, and 70 percent of those use the Internet on a daily basis. • At least once a month, 65 percent of social media users use social media to learn more about brands, products, and/or services. 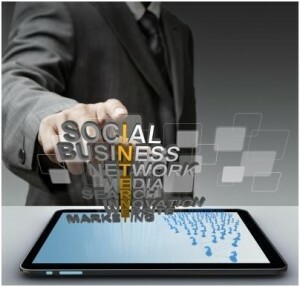 Fifty-three percent use social media to compliment brands, and 50 percent express concerns and complaints. If you’re avoiding connecting your offline business with your online presence, you may be forgoing a lot of profit. Just having a basic informational website doesn’t cut it anymore. No matter what industry you serve or how small your company is, it’s crucial to make it as easy as possible for connected consumers to interact with you. Now that consumers have found their digital voices, business owners who want to stay in business can no longer ignore the social media landscape. In a global marketplace that’s more connected and competitive by the day, customers aren’t limited to only one or two methods of communication. If you don’t interact with them in the way they prefer and expect, you won’t be around for long. Of course, joining the social conversation can be easier said than done. Even if you’re willing to use technology to convert browsers to buyers, you may not know where to start. And if you already have an online presence, you’re most likely making some fairly big mistakes. What’s happening online should be an accurate reflection of what’s happening offline, and vice versa. With too many business owners, that’s not the case. In addition to making mistakes that are born out of ignorance, businesses tend to manage their online and offline presences separately, or consider their online efforts to be an afterthought — which keeps them out of sync. “Ready, fire, aim” is a strategy that’s rarely effective in general, and almost never when it comes to concurrent offline and online marketing efforts. The last thing you want is to pique consumers’ attention with a clever television commercial, for example, only to have them dead-end at a website that doesn’t provide details about your promotion. For that reason, you should pre-plan your promotional efforts in all marketing channels — specifically: website, social media, business directories, in-store, offline, and email. All of these channels should complement each other by supporting the same goal or goals (i.e., generating traction around a new service your business is offering by securing 150 appointments in a two-month period). Synchronizing your efforts will ensure that your message has the maximum exposure to consumers and will save you time and money because you won’t have to do the same work twice on different occasions. You’ll also be able to constantly test how effective each channel is with your specific customer base. For instance, you might find that social channels are extremely effective for acquiring new customers through existing customer referrals. 2. … and stay consistent. Imagine walking into a local home decor store for the first time. The well-organized space is decorated in subtle earthy neutrals, complemented by an elegant black-and-white company logo. But when you log on to the company’s website, you see dated block type that’s difficult to read against a bright blue background. While available merchandise is listed, much of it is labeled with a red “out of stock” stamp. Is this the same company whose store I visited? you wonder, before exiting out of your browser window. Admittedly, that example is extreme, but I’m sure you see the point: You need to offer consumers consistency online and offline. Too often, small businesses hastily throw together an online presence merely for the sake of having one. This does more harm than good, because it can be a big turn-off to curious connected consumers. In order to effectively represent your brand online, you should invest time and resources in creating a well-designed website, carefully curated social media presences, and thoughtful emails that mirror your offline branding. 3. Ask the right questions about your website. • Does the website’s look and feel represent what I feel when I walk through my business’s front doors? If not, what’s missing? If you’re using a website building tool, you may be able to find a template design that effectively represents your business’s look and feel; if not, consider investing in a designer. If there’s an art school in your area, to keep costs down, try hiring a digital art student interested in building his or her portfolio. • Does my website tell the story I want my customers to know about my business? Am I using images that effectively help do that? Try not to use a lot of stock photo art on your website. Instead, use photos of your storefront and employees to make your website experience more personal. Highlight products and services, your interior and exterior space, people, and events that showcase your business’s personality and involvement with the community. • Do I want to have more of a social voice on my website that mirrors my business’s Facebook page, or do I want to keep things more professional? You can do a little bit of both — use more professional language in your website content, and simply add a Facebook Plug-in that displays your Facebook post feed. It’s perfectly fine to maintain a professional voice on your website; just make sure your social voice isn’t so far off that your customers and browsers receive a disjointed experience across those channels. 4. Don’t be too generous with online offers. As you start to incorporate online channels into your holistic marketing efforts, you might be tempted to stack the deck in your favor by running several simultaneous promotions and being extremely generous with discounts. After all, your goal is to draw in as many new customers as possible, right? Well, yes… but not at the expense of longer-term success. Don’t go overboard with offering online discounts and deals. For one thing, you don’t want to condition new customers to constantly hold out for better deals. And beyond that, you don’t want to disillusion loyal customers by making them think that you offer incentives only to new buyers. You’ve heard it many times before, because it’s the truth: Happy customers start with happy employees. And happy employees are the ones who are prepared to do their jobs well and deliver the “experience expectations” you’ve set via your online and offline marketing efforts. Happy employees are also more likely to encourage add-on services, thereby increasing average revenue per customer for your business. It’s a shame when well-crafted marketing efforts are rendered moot by disengaged employees. To make sure that doesn’t happen in your business, give your team the best possible chance at delivering the desired customer experience. Specifically, build a set of ‘standard operating procedures’ into your marketing plan — with specific guidelines on communication, positioning, experience delivery, and product or service up-selling if relevant. Create an overview information sheet for every promotion and discuss that document with your employees in a meeting a few weeks before the promotion is scheduled to go live. 6. … and pick their brains. Two (or more) heads are better than one. That’s why I recommend bringing your employees into the fold of designing and executing great marketing plans for your business whenever possible. If you don’t have to follow specific franchise marketing guidelines, you and your team can collectively decide on the most effective way to pitch the promotion through all channels — including in store. Review any in-store collateral you’ll be using throughout the space and work with your employees to agree on where you’ll place signage, samples, videos — and when. Ask your team for ideas on what other products or services would be great to merchandise along with the promotional items to get their support in making the promotion successful. The more you encourage your employees to share their ideas, the more involved they’ll become — and the more successful your promotion will be. You might be surprised by how much your team will have to contribute and how much they appreciate being part of the creative process. 7. Define your social voice. Since different social media sites have different official and unofficial “rules” and tend to attract different types of users, you’ll have to pay special attention to how you’ll market your promotions within each one. Overall, though, remember that your social style should reflect your offline experience, and vice versa. As I previously pointed out, some businesses prefer to maintain a more professional tone through their social channels — something that often works well when communicating the logistics behind special online offers. Other businesses prefer to lighten their tone through social channels, using them as an avenue through which to inject some spice into their customer interactions. Because it’s likely that social posting will be a shared responsibility at the business, carefully communicate the tone you want employees to use on Facebook, Twitter, Pinterest, and other social profiles you’ve chosen to establish. Setting expectations on tonality, frequency, and response time from the very start will help you create empowered employees who feel confident that they have the right tools to successfully execute on your vision and will give consumers a consistent experience. 8. Be willing to evolve. When it comes to technology (and the relationship you and your consumers have with it), change is the only constant. The online landscape looks totally different today from the way it did just five years ago — and who can say what we’ll encounter in the next five? That being the case, keep in mind that it’s okay to evolve. Even if your initial online strategies were spot-on, you may find over time that your customers’ preferences have changed. If (and more likely, when) that happens, refine where you spend your energy and adapt your voice and tactics to be more in line with their expectations. As long as you keep your listening skills sharp, you and your team will have no trouble reading your community and tweaking your approach to keep customers satisfied. Maintaining consistency across all of your marketing channels — including the in-store experience — is critical to delivering a winning customer experience. No matter how your online shoppers interact with your business, they should feel a sense of consistency when they walk through your doors and convert to buying offline. But none of that can happen until you commit to serving your connected consumers. So don’t wait — get social and start winning offline and online fans. 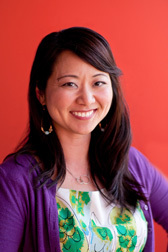 Annie Tsai is the author of “The Small Business Online Marketing Handbook: Converting Online Conversations to Offline Sales“. She is chief marketing officer at Demandforce, an Internet marketing and communication company that advises small- to medium-sized businesses.